The Depayin Massacre was as particular as it was different from other crimes that have occurred in Burma previously. It was a well-organized heinous crime, committed by about 5000 perpetrators under the direct control of the authorities against unarmed civilians, including a Nobel Peace Laureate, her supporters and other innocent people. The attack was perpetrated with complete impunity, as it was publicly committed while the international community was closely monitoring the organizing tour of Daw Aung San Suu Kyi, the charismatic leader of the National League for Democracy, who has been gaining enormous support from the people. The objective of the authorities in committing such an atrocious crime is to deny the 1990 May election result once and for all, by gravely intimidating the entire people. 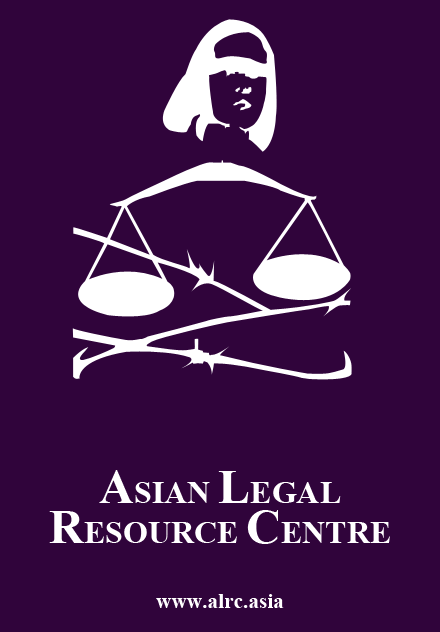 It is also worth noting that it was committed while the scope of international human rights laws have been practically expanded to all areas with the emergence of the permanent International Criminal Court on 1 July 2002. As such, it is worthy to scrutinize this crime from various perspectives including one that embodies international crimes, such as crimes against humanity, which can be acted upon by transcending the boundary of a state. In addition, how this tragedy affects the prospects for national reconciliation ought to be considered. 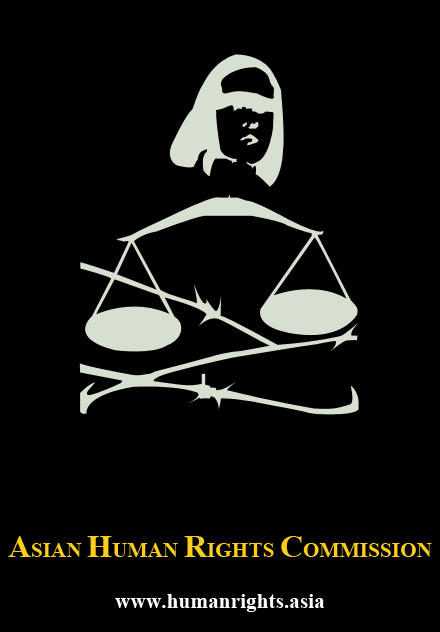 The Swiss jurist Jean Graven created the term ‘crimes against humanity’. After World War I, the first modern attempt was made to impute the individual criminal accountability for crimes against humanity such as those that the Central Powers had committed in numerous acts ‘in violation of the established laws and customs of war and the elementary laws of humanity’. The first factor to consider regarding whether the Depayin Massacre falls within the range of crimes against humanity is in regards to the requirement between the crime and armed conflict. 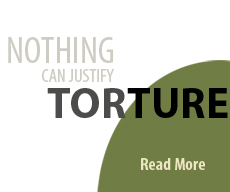 The International Military Tribunal defined crimes against humanity only ‘in connection with’ other crimes, i.e., crimes against peace, and war crimes. Then, the third committee of the UN accepted a non-aligned group proposal that would include those defined in the Tribunal Charter ‘whether committed in time of war or in time of peace’. The Chairman of the Secretary General’s Commissions of Experts on the Former Yugoslavia and Rwanda has also rejected the making of such a link. The most recent statements of governments at the UN show an overt acceptance by most states that the nexus is unnecessary and gross human rights violations in peacetime are as criminal as those during armed conflict. As such, in spite of the fact that the Depayin Massacre occurred in Burma in peacetime, it will certainly be within the scope of crimes against humanity. On May 23 and 24, the authorities collected the members of the USDA (Union Solidarity and Development Association) and others from eight townships in Shwe Bo District, and provided trainings at the campus of the Depayin State High School No.1. Depayin is one of the townships in the Shwe Bo District. There were altogether about 5000 men. On May 29 and 30, the authorities summoned 56 big vehicles and 10 small vehicles for transportation and placed them in the school campus with owners and drivers. On May 30, all trainees were given homemade weapons, such as sharp bamboo sticks, thick and hard bamboo sticks, iron rods, pointed iron rods, wooden bats, etc. With the instructions of the authorities, seven carpenters made these weapons in two days. They also bought some other handmade weapons from nearby villages. Township PDC (Peace and Development Council) office clerks distributed these weapons to all trainees. The authorities ordered the local population residing in the villages beside the road where the crime was commited not to be present at the arrival of Daw Aung San Suu Kyi. The villagers were forbidden to welcome Daw Aung San Suu Kyi and ordered to stay inside their houses even if any problems arose. The attackers communicated with each other by using whistles and walkie-talkies, telecommunication devices that only the authorities are permitted to use. They also used codewords that are usually employed in military operations. (a) The Dyna and Tolargi trucks, carrying about 1000 attackers, tailed Daw Aung San Suu Kyi’s convoy before they reached the killing field where the crime was to be committed. (b) Around that first killing field, another 3000 attackers were waiting in clumps of bushes and thickets beside the road in the dark of night. (c) Bogus monks wrapped red cloths around their arms to prevent mistaken attacks and make them distinct from the monks who had accompanied Daw Aung San Suu Kyi’s convoy. (d) First, 1000 attackers started to attack the Kyi villagers and supporters of Daw Aung San Suu Kyi at the rear of her convoy. (e) Secondly, almost at the same time, the 3000 attackers waiting in readiness joined the attack and battered all people in Daw Aung San Suu Kyi’s convoy. (f) Thirdly, another 1000 attackers were also waiting with barricades at the second killing field about ten minutes from the first killing field. Those attackers assaulted all motorcycles and cars that escaped from the first killing field. (g) At the two killing fields, the headlights of Dyna trucks were arranged by the authorities to light the areas. At the second killing field, spotlights were set up in the big trees beside the road. An example of a crime against humanity in the absence of a large number of victims might be the execution by Soviet authorities of Hungarian leader Imre Nagy in 1956. In this case, it might be argue that such a planned, systematic act is not against a ‘population’ at all, but only against one person, and to ascribe it as a crime against humanity would risk collapsing such crimes into common crimes. A more convincing interpretation would, however, regard the target ‘against’ whom the action is committed as more than the victim himself. In such a case, even though murder itself is not on a mass scale, because the killing of a political (or religious) leader is systematic insofar as it is meant to intimidate the entire ‘civilian population’ of his supporters (or corelegionists), it would represent a crime against humanity. Indeed, even if the victims were not leaders, a systematic act against deliberately targeted individuals could well be aimed at intimidating a broader population. In the aftermath of the Depayin Massacre, it is quite evident that the incident intimidated not only NLD members and its supporters, but also the entire civilian population of Burma. From this viewpoint, the Depayin Massacre certainly constitutes a crime against humanity. In the aftermath of the Depayin Massacre, fear, hatred and suspicion are prevailing across the whole country. Confidence building, the term that Daw Aung San Suu Kyi used after the release from her house arrest on 6 May 2002, has long since disappeared. Now people have a terrible mistrust of the military regime. Demands for accountability over the Depayin Massacre are rising. Even the dismissal of Senior General Than Shwe from his position as Chairman of the State Peace and Development Council (SPDC) might not be satisfactory unless the Depayin Massacre issue is addressed effectively. In the event that the perpetrators enjoy impunity, any attempt by the international community—be it by the UN, EU, US, Asean or Thailand—to facilitate national reconciliation and a democratic transition in Burma is not likely to be successful. Even during negotiations, opposition leaders would certainly be concerned that their lives could be threatened at any time in the same manner. As such, without seeking accountability for the Depayin Massacre, any genuine political dialogue between SPDC and democratic forces will never become a reality. In practice, without dealing with the Depayin Massacre and providing a sense of justice to the people, how will the transition process proceed? How can a genuine National Convention be convened? Standing on the bodies of the Depayin victims that have not been buried properly, and listening to the cries of their relatives, who will draft a new constitution that should lay down a foundation for the rule of law, justice and peace? All those superficial efforts will be no more than ones that will certainly strengthen the rule of the military junta in Burma for more decades. The issue must be examined both in terms of international human rights law and its moral aspects. What will happen once Burma achieves a new democratic government without dealing with the legacy of the past, particularly the Depayin Massacre? Any new regime will take the place of the former regime in all matters affecting the international human rights and obligations of the state; the successor government is obliged to investigate international human rights violations and to prosecute those responsible. In the event that the new government does not comply with international human rights standards, it will not stand apart from the previous regime. In addition, morally, it will not be possible for the new regime to ignore the demand of the victims or their relatives to seek accountability for the massacre, and uncover the truth to bring about justice. 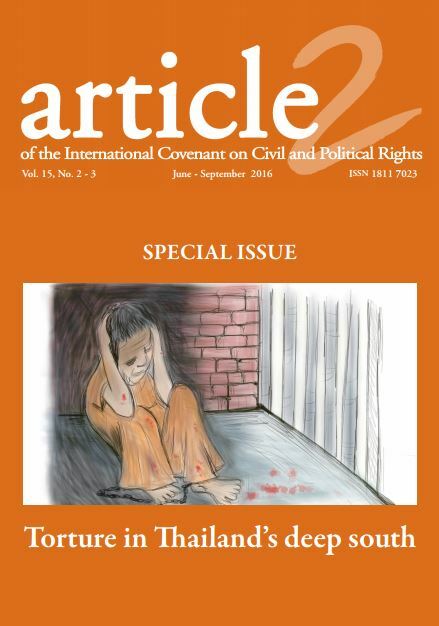 If a new regime were to act only after being forced to by the moral outcry from the victims and their relatives, and not by its own initiative, then the truth might not be uncovered, as evidence would have been repudiated by the previous authorities.Another possibility is that the new regime might attempt to take action against the perpetrators after the truth is uncovered. If that were the case, the perpetrators, who may still hold some kind of authority, might create problems again; society may be in chaos and the people may be trapped in another vicious circle. It follows that the best alternative is to address effectively the Depayin Massacre now, and not later. Superficial national reconciliation or democratic transition should not be reasonable grounds to cover over the truth about the massacre. It is quite evident that only when justice can be sought for the Depayin Massacre and all other heinous crimes that have occurred in Burma, genuine national reconciliation will occur. The objective of national reconciliation is to pave the way for the society to obtain peace, freedom and justice within a framework of the rule of law. National reconciliation cannot be interpreted as a compulsory measure to be implemented through political dialogue that ignores heinous crimes, and denying the principle of the rule of law. Superficial national reconciliation would certainly collapse as soon as the authorities committed more serious crimes again. Society can achieve genuine national reconciliation only when it deals with its past legacy by bringing the perpetrators of crimes to justice and by seeking justice for the victims in one way or another. The Depayin Massacre is a challenge to the international legal community, international human rights organizations, democratic world leaders, and the UN. How can the perpetrators of a crime against humanity, as the authorities of a nation that is not a party to the Rome Statute, be brought to justice? Seventy Burmese MPs have reportedly submitted a formal request to the UN Security Council for its intervention. Amnesty International has recommended sending an international investigation mission to Burma. Recently, the Asian Human Rights Commission also asked for the intervention of the UN Security Council to investigate the Depayin Massacre as a crime against humanity. The UN General Assembly has already made a large number of resolutions on Burma with reference to the various human rights violations committed by the authorities there. However, the junta has made a mockery of these for about a decade. Stepping on the UN resolutions and ignoring demands by the international human rights community, the junta still dares to commit more heinous crimes, such as the Depayin Massacre. It is time for the UN Security Council to send an investigation mission to Burma without further delay, and bring the perpetrators to justice by forming an International Criminal Tribunal or by referring the case to the International Criminal Court. Taking effective action on the Depayin Massacre will be a step towards the laying down of foundations for the rule of law in Burma. It will be a historical milestone for a society that seeks justice for the deceased, the disappeared, the injured, and others who have suffered terribly from the incident. It will open the possibility for a peaceful democratic transition in line with international human rights law. Jean Graven, Les crimes contre humanite, 76 Recueil des Cours 427, 433 (1950-1). Steven R. Ratner & Jason S. Abrams, Accountability for human rights atrocities in international law, Oxford University Press, Oxford University Press, 2001, p. 3. Ratner & Abrams, Accountability for human rights atrocities, p. 46. Report of the Third Committee, UN GAOR, 23 Sess., Annex, Agenda Item 55, at 3, UN Doc. A/ 7342 (1968); UN GAOR, 3d Comm., 23 Sess., 1563-1568th mtgs., UN Doc.A/C.3/SR.1563-1568 (1968). Graven, Les crimes contre humanite. Ratner & Abrams, Accountability for human rights atrocities, p. 3. Ratner & Abrams, Accountability for human rights atrocities, p. 57. Ratner & Abrams, Accountability for human rights atrocities, p. 60. Robert Jennings and Arthur Watts (eds), Oppenheim’s international law, Longman, Harlow, 1992, vol. 1, pp. 234–5. See also, John Dugard, ‘Retrospective justice: International law and the South African model’, in Transitional justice and the rule of law in new democracies, A J McAdams (ed. ), University of Notre Dame Press, 1997, p. 280. Interview with Daw San San, MP-elect from Seik-Kan Township Constituency, Vice Chairperson of NLD Rangoon Division and Head of the Rangoon Division Women’s Wing, at the BLC head office on 5 August 2003. She left Rangoon at the end of July, 2003. This entry was posted in Volume 02 Number 06, and tagged Volume 02 Number 06. Bookmark the permalink.